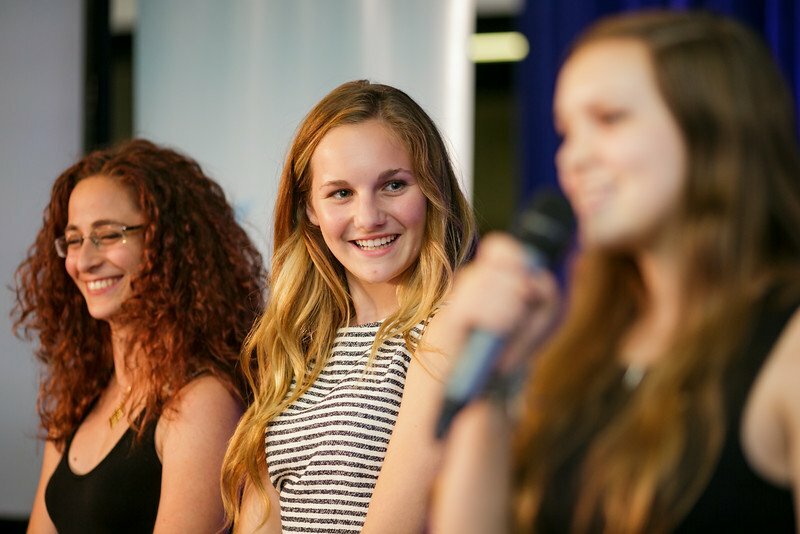 Katelyn Dunn, 17 years old and a senior at Bishop Gorman High School in Las Vegas, enrolled in a summer program at Singularity University in 2014. While she was on-site at Singularity University’s campus at Moffett Federal Airfield in California, she began thinking about solving big problems. Singularity University’s Exponential Youth Camp (XYC) is a 5-week pilot program at NASA Research Park that empowers young future leaders with life-changing, hands-on education and encourages them to build solutions to global grand challenges using exponential technology. Participants are exposed to graduate level education, internships, team projects and mentorships that challenge them to apply technology to change their world, network with a global community, and discover and align their passion with future opportunities. Within five weeks at the program, Dunn discovered a dire need that she felt like she could solve — helping people survive disasters. Soon, Disaster Mesh was born. “My co-founders and I met at SU, connected on the Disaster Relief, and decided to work together,” she explained. 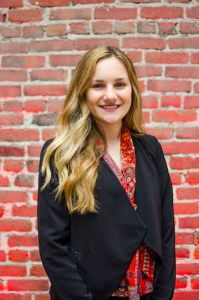 She and fellow Disaster Mesh founders Margaux Giles and Karla Dana, both college students, were inspired to create their product after hearing from disaster survivors. Disaster Mesh is an instantly deployable mesh network that provides communication networks to the survivors of natural disasters. Since its founding in 2014, the company has grown tremendously, traveling far and wide in sharing its innovative solution as well as receiving feedback from and collaborating with influential people in the industry. Dunn says she thinks the Disaster Mesh team is incredibly adaptable. 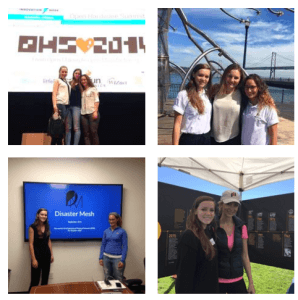 One of the biggest highlights for Disaster Mesh in 2015 was winning Verizon’s Powerful Answers Award, a competition that challenges innovators, developers and entrepreneurs to provide innovative solutions that deliver social good. Verizon announced 36 finalists from a pool of over 1,400 candidates from around the world. The award offers a total of $6 million in cash prizes, plus the opportunity for winners to participate in an Accelerator program designed to help develop their ideas and bring solutions to market faster. The 2015 program finalists – who come from diverse backgrounds and represent 10 different countries – presented their ideas before judges and competed for a prize of $1 million in three categories: Transportation, Emergency Response and the Internet of Things. Jerry Rizzo, a Verizon spokesman, told the Review Journal that Dunn and the team are the youngest winners chosen to receive funding in the Powerful Answers competition. The competition attracted more than 1,400 entries, from more than 78 countries, Rizzo said. Only a quarter were female-founded companies. “They’re an inspiration, not only for all tech entrepreneurs, but for anyone who wants to pursue putting your ideas into reality to make the world a better place,” Rizzo said. Knowledge. “We built this project from the ground up, and all of the material and information that could be brought up about our product was originally said by one of the three of us, so pitching wasn’t very difficult for us, and I think that ease and confidence came through in our pitch,” she said. Advice. Dunn says she and her team take advice from everyone. “Although some of it gets thrown out, when we were working to create the best documents and plans for this competition we were open to advice on how to do that and I think our willingness to take advice lets us create the best and most tailored paperwork and materials,” she said. Dunn says because she is a full time high school student, she works from The Innevation Center fairly sporadically. But when it’s time to be in a tech inspired work space, that’s where she often heads. “It has always been very helpful to have a space with conference rooms, collaboration spaces, and fun events,” she said. For those in the #VegasTech community who want to help Dunn and her cofounders make Disaster Mesh a success, the door is wide open. In 2016, the Disaster Mesh team is aiming to get out of the conceptual phase that Dunn says they have been in for about two years. “We also plan on attending an accelerator to help us really get moving,” she said.